Using a very complicated and sophisticated formula, the @Inland_Sports Show #SuperComputer 🖥 squirted out the preseason football rankings in our coverage area. 60 is a perfect score, as Centennial is #1 followed by Cajon! Can’t wait to see how these rankings may change once we play some real games! Going to be a great year of 🏈 in the #InlandEmpire! Citrus Hill quarterback/running back Jon Jefferson ran for two touchdowns, helping Riverside County win the 33rd Inland Empire All-Star Classic 49-24 at Centennial High School in Corona. Jefferson finished with 150 rushing yards on 19 carries. Citrus Hill quarterback/running back Jon Jefferson ran for two touchdowns, helping Riverside County win the 33rd Inland Empire All-Star Classic 49-24 at Centennial High School in Corona. Jefferson finished with 150 rushing yards on 19 carries. Well, the Inland_Sports super computer did it again and squirted out our weekly rankings. After a series of mathematical equations and formulas, we are pleased to welcome Aquinas into the Great 8. The Falcons are 4-0 heading into Friday’s contest with Rancho Christian as RB Branden Rankins is closing-in on the San Bernardino County rushing record. There’s a good chance Rankins will make a run at the record when the Falcons meet Notre Dame in Week 6!!!!!! 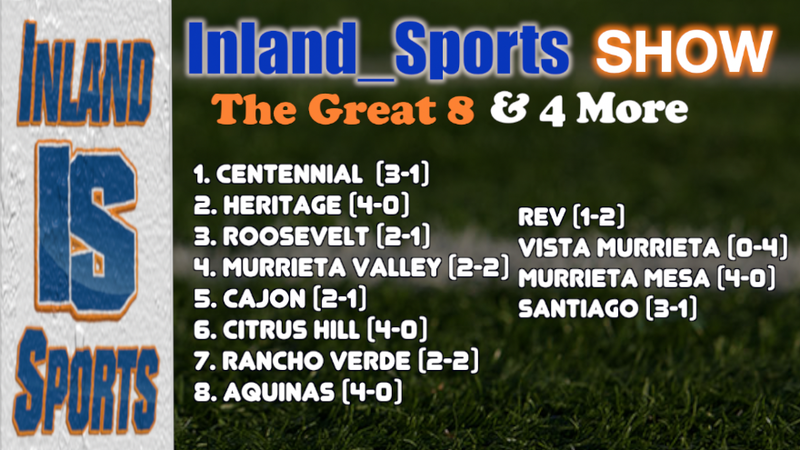 Murrieta Mesa also joined the party in our 4 More after the Rams picked up a convincing win vs. San Jacinto. Murrieta Mesa will play Valley View this week, which will be a measuring stick for this Rams’ team. The Inland_Sports super computer is really confused on what to do with Vista Murrieta (0-4). They’re really good and played great teams, but they don’t have any wins … which nearly blew-up the computer! Norco is in the same boat! 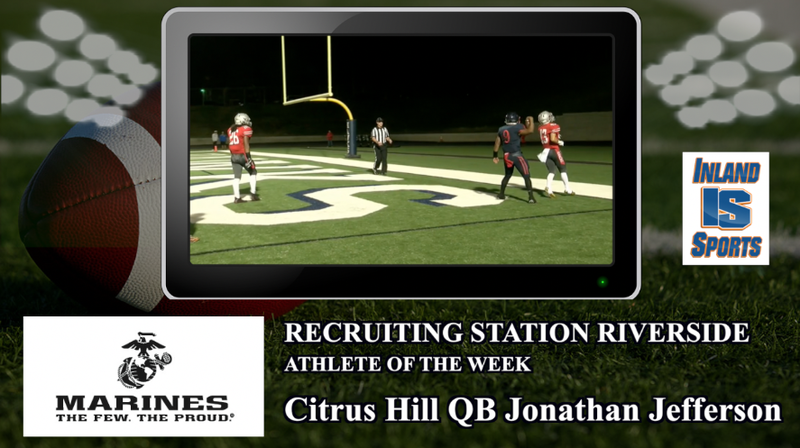 Citrus Hill quarterback Jonathan Jefferson rushed for 281 yards and three touchdowns to lead Citrus Hill past rival Rancho Verde 21-13 in another edition of the Battle of the Torch! 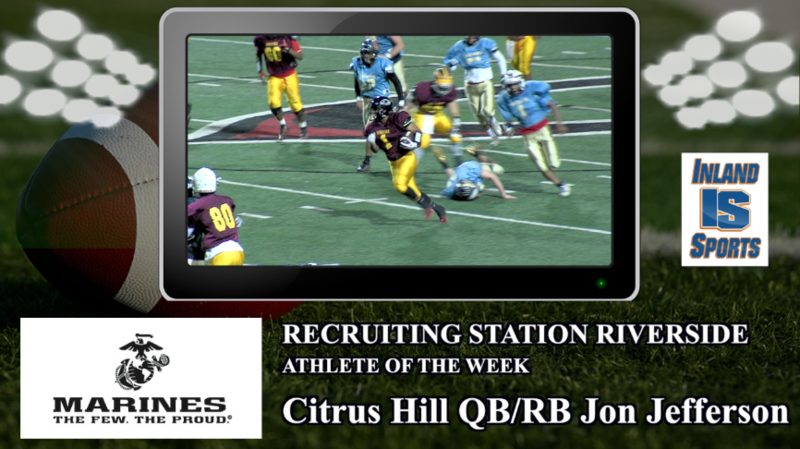 For his big game, Jefferson has been named the Marines Recruiting Station Riverside Athlete of the Week. Congratulations Jonathan!